If you thought this year couldn’t get any better, think again! We’re introducing a new product line that we think you’ll find absolutely ear-resistable. 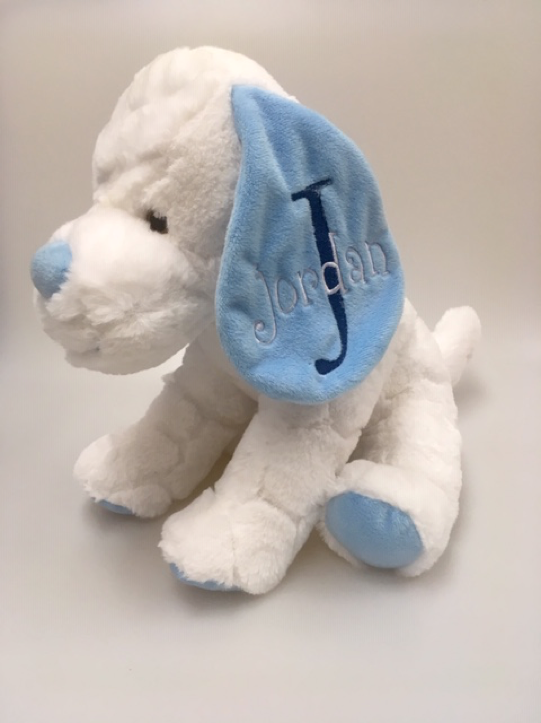 Our new Embroider Buddy® Big Ear collection gives you an entirely new way to personalize one of our sweet plush companions. So, who will be the first to join the new roster this December? Meet Danny Dog! His big floppy ears and soft brown eyes make him impossible to resist. Available in both pink and blue, he’s a perfect addition to the Embroider Buddy® family. Danny dog is made from high-quality, low pile and embroidery-friendly fabric. 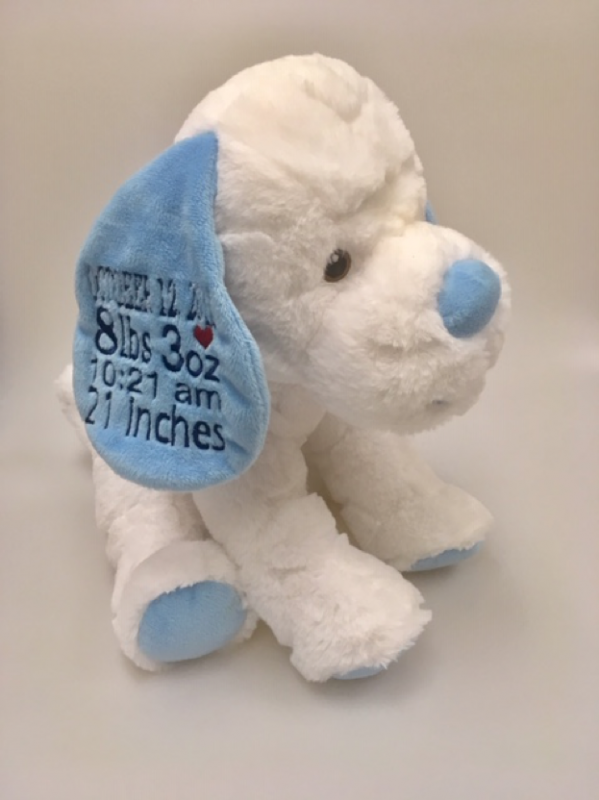 He sits 12” tall and his ears are 6” long, providing plenty of room for fun designs and personalization. Isn’t it wonderful to have new unique and fun places where you can show off your creative embroidery? He’s a little smaller than our average Embroider Buddy®, making him the perfect compact travel companion. 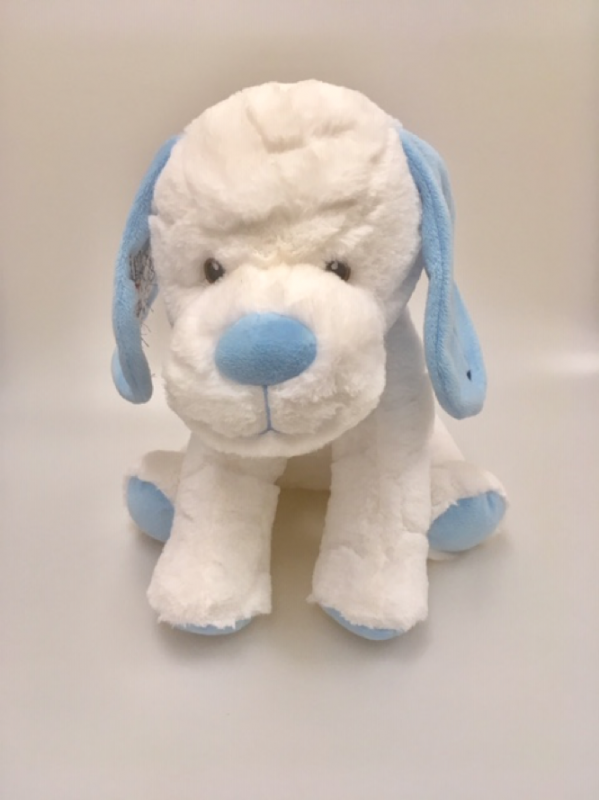 Danny Dog loves to run through the park, enjoys Sunday brunches or birthday parties with friends and spends his evenings curled up on the couch watching his favourite television shows. Whether you’re at home or on-the-go, you can always count on Danny Dog and his floppy ears to be by your side. 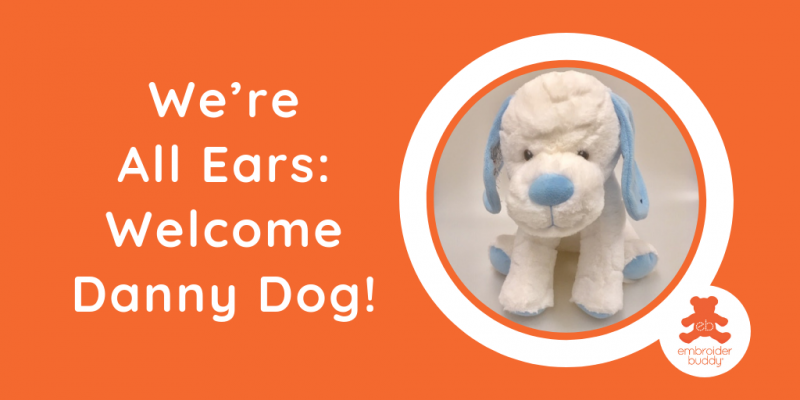 Danny Dog is only the beginning of our fun Big Ear collection. We’re always looking to create new spots where you can add your personalized touches, and we’re really excited to see the results of your work on those big ears! Keep your eyes peeled for Danny Dog’s release on our social media and website! Are there any critters or creatures you’d like to see us add to our Big Ear collection? Let us know in the comments below!